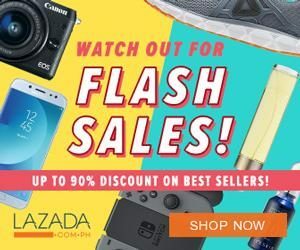 Fill your bookshelves with the latest must-read from National Book Store Book Binge Bazaar 2018! SEPTEMBER is looking like a great month for book lovers and bibliophiles. Aside from the 39th Manila International Book Fair, there is another weekend sale that offers stacks of good reads for as low as Php75. 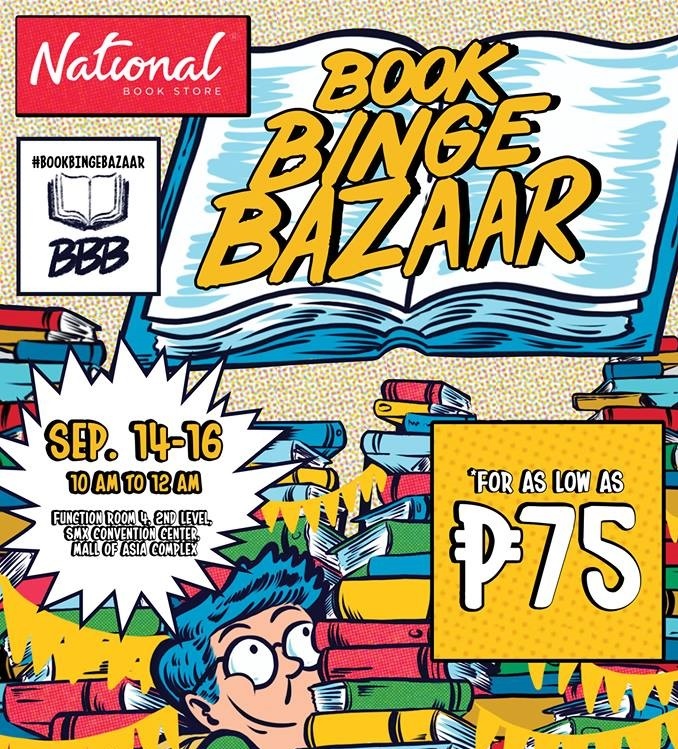 It is high time to find your next binge-read from the National Book Store Book Binge Bazaar 2018. Wander through the aisles and score a haul when you shop at the Function Room 4, 2nd Level of SMX Convention Center in Pasay City. Tons of great finds await everyone- from young adult to fiction novels, from non-fiction reads to children’s books. Join thousands of bargain hunters and dig through pile after pile of interesting novels, reference books, anthologies and other written words from 10:00 AM to 12:00 AM on September 14 – 16, 2018. Spread the goods news and grab your reading buddies. Don’t miss your chance to immerse yourselves again in a great story- get to know new characters, read about our favorite historical period or learn a new skill by picking up a book. See you at the venue! Visit their official Facebook Page for more details and updates.